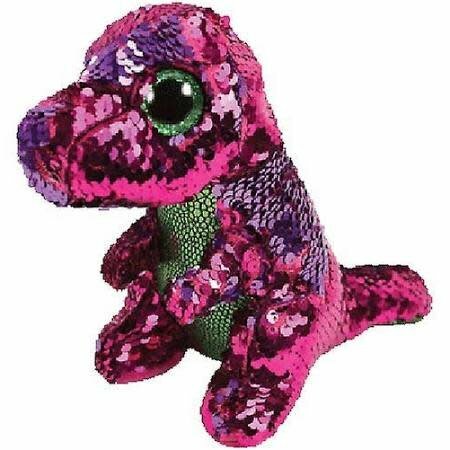 This amazing Ty flippable dinosaur beanie boo is named Stompy. Flip my sequins up and down. Move my colours all around! Safety Information: Warning. Not suitable for Children under 3 years. I stomp through the land, with my shiny big feet, looking for bright green leaves to eat!